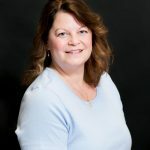 Rebecca Paquette RNBS is the President/CEO of Excel Nursing and Home Care Services, with offices located in Ludlow and Pittsfield, Massachusetts. She is a Registered Nurse with 21 years of experience and has worked in Healthcare for over 28 years. Rebecca is a graduate of Westfield State College, and holds a Bachelors of Science in Business Management, along with a degree in Nursing. Rebecca has considerable background in Acute Care, Post Surgical Care, Rehabilitative Care and Geriatric Care. She has worked extensively in Clinical and Managerial roles with the Geriatric, Developmentally Disabled and Mental Health Populations. In addition to Clinical Nurse supervisory roles, she has also worked in Staff Education and Quality Improvement, as both a staff member and Clinical Nurse Consultant, in Long Term Care Facilities and Community Health Settings. After working as a Clinical Nurse Consultant for several years, Rebecca founded Excel Nursing Services in 2002, providing healthcare staffing and private duty homecare services throughout Massachusetts. In 2007, Rebecca founded Excel Home Care Services to provide patients with continuity of care. Excel Home Care Services provides certified home healthcare services (VNA) under Medicare and Medicaid, throughout Hampden and Hampshire Counties. Rebecca is a respected member of the community and is part of many professional affiliations; including the Women President Organization, Home Care Alliance of Massachusetts, Mass Council for Home Care Aide Services, Western MA Eldercare Professionals, Staffing Industry Analysts, National Nurses in Business and the American Staffing Association.